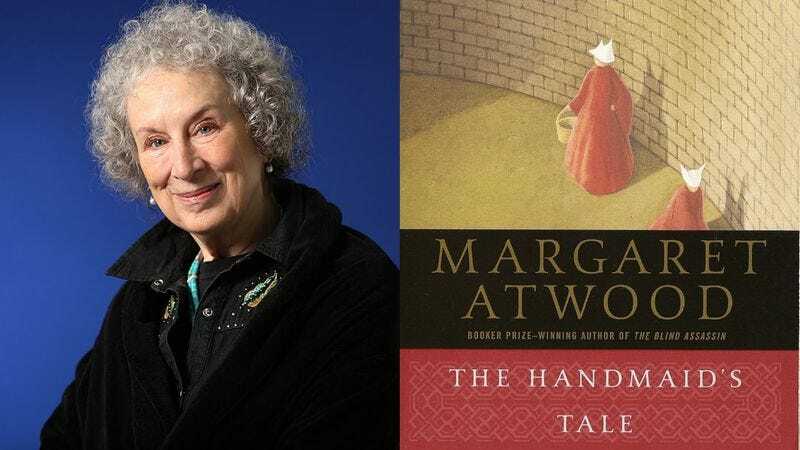 An Associated Press item reported on a Catholic congregation in New Jersey being taken over by a fundamentalist sect in which wives were called “handmaidens”—a word that Atwood had underlined. The New Yorker piece is full of smart commentary from Atwood on the current political climate, feminism, and even opinions about the internet and running apps. Read the rest of the profile here.